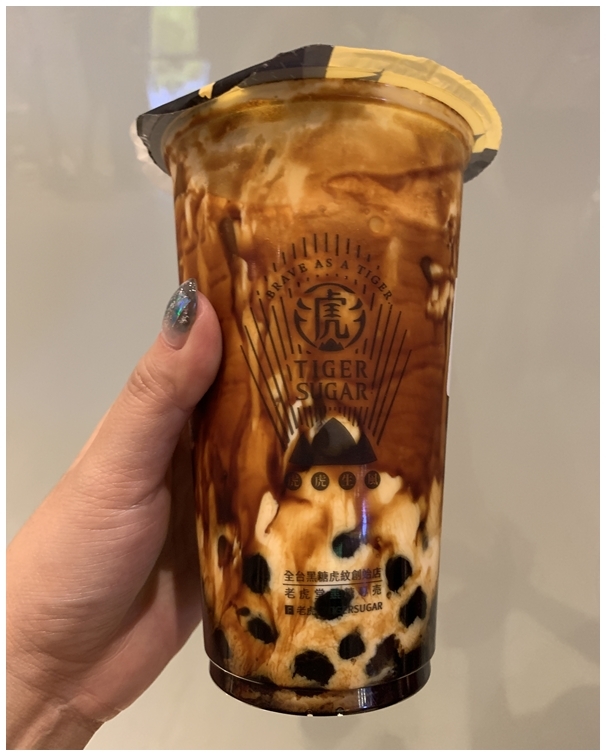 Since the opening of Tiger Sugar‘s first store in Singapore at Capitol Piazza, pictures of the sugar loaded drink flooded the Instagram along with reports of snaking queue. 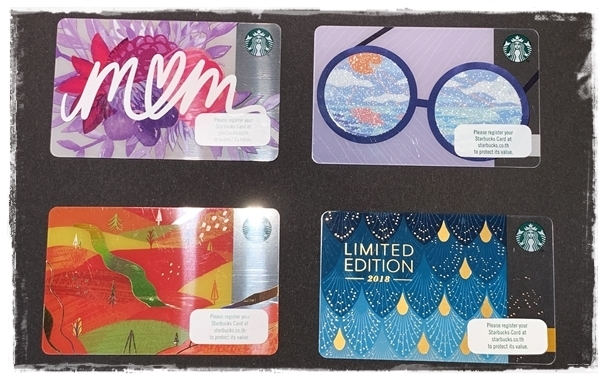 Waited for the hype to die down slightly before stopping by on a Saturday night to join a modest line for the drink. Perhaps I’m too used to being able to choose the sugar level at other bubble milk tea chains, I wasn’t used to the overloaded sweetness of this brown sugar tea. I can understand maybe the shop is trying to keep to the original recipe from Taiwan. Given the nation’s War against Diabetes, it wouldn’t be a surprise if it’s a matter of time before our authorities step in to request such drink stalls to moderate the sugar level – just like our canned drink providers??? 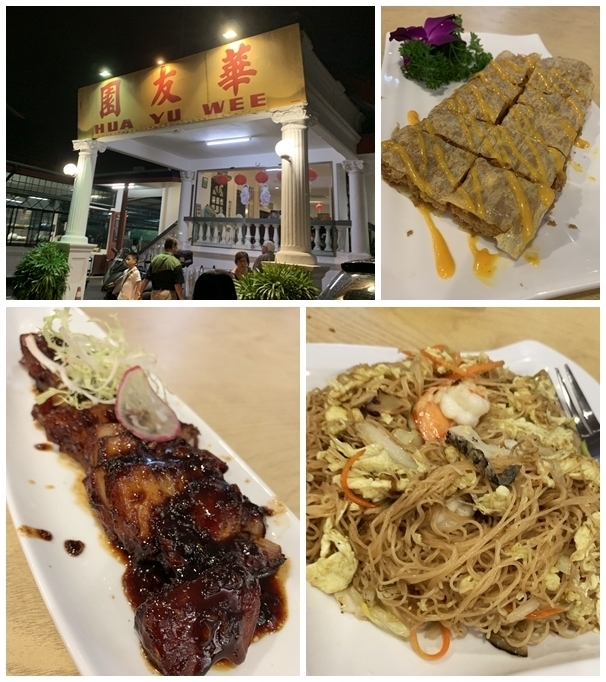 Have long heard about this “tze char restaurant housed in a bungalow” more than two decades ago, finally had the chance to visit them when we planned for a family gathering. Could you imagine that my dad even commented that this place had been around since his younger days when he was dating my mum?! He shared that back then the shoreline was right behind the bungalow. I think there might be some truth in it cos I am old enough to remember that much of the land in the East Coast area were reclaimed. There are limited tables within the main hall that is air-conditioned with a huge non air-conditioned seating area under the tentage behind the building. We ordered a few of their specialty dishes such as: Duck meat with seafood paste and wrapped in crepe and BBQ Pork. The duck meat with seafood paste is pretty unique, we didn’t taste much of the duck meat cos it seemed to be mashed into the paste. The filling has a light crisp wrapped under the crepe skin. The BBQ Pork was tender and coated with a light caramelized sauce. 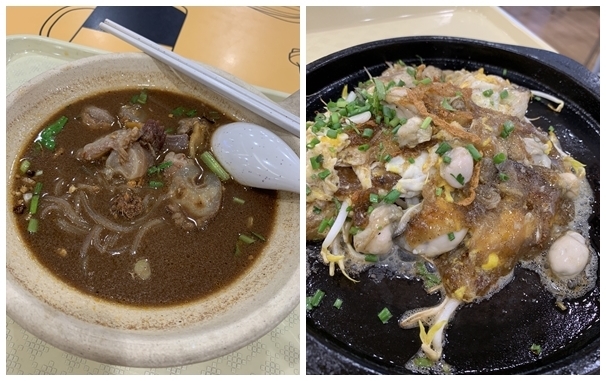 We were pretty impressed with the Seafood Mee Sua as it is a dish that requires good heat control and skills to retain the right moistness of the mee sua without it becoming too lumpy. No visit to a tze char restaurant can be complete without the quintessential Crab dishes. 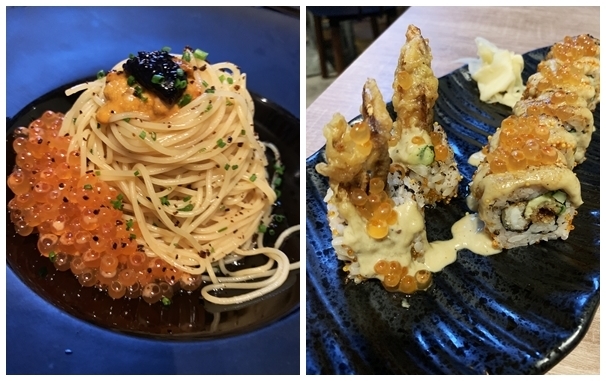 We tried both the Black Pepper Crab and Chilli Crab. 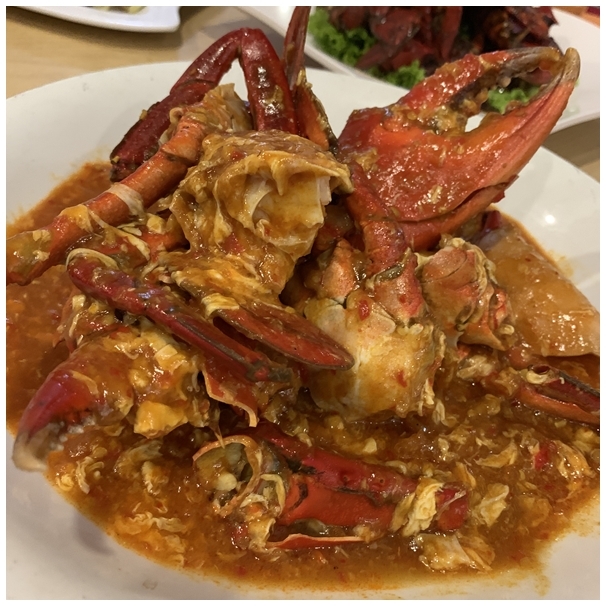 Their black pepper crab is probably the next best alternative to another famous crab institution in the East area – First Grade Seafood Palace. It has been a while since I last visited the latter and I’ve heard news that they had closed in 2018 (check out their FB post). 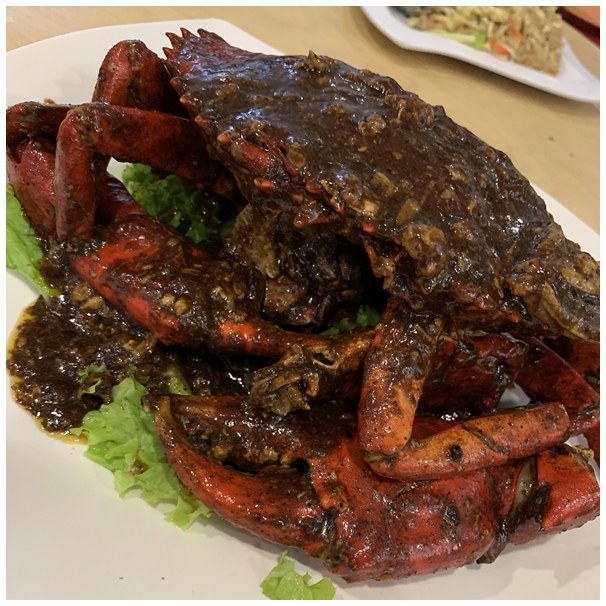 Their Chilli Crab was not bad, but just not as good as my go-to Chilli Crab place (Jumbo Seafood Restaurant) in terms of the gravy. But both crabs were really fresh with meat of firm texture. 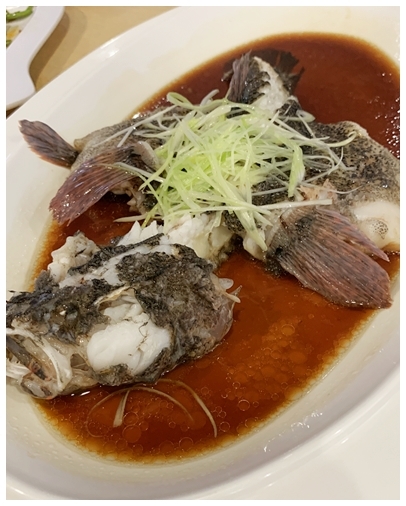 Another testimony of the freshness of seafood was the Steamed fish. 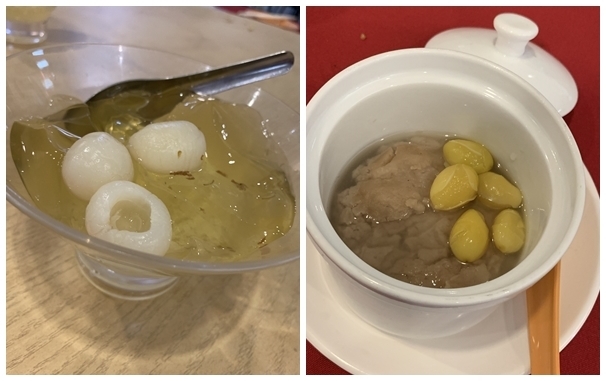 We rounded up our dinner with desserts of Ice Jelly and Yam Paste with Ginkgo Nut served in individual size. I thought this is particularly rare to be able to enjoy a single portion of Yam Paste with Ginkgo Nut. 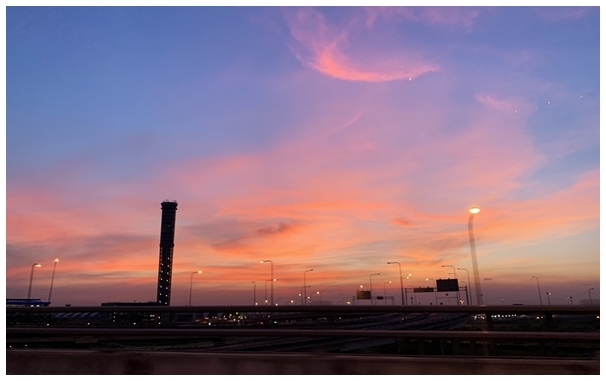 Other than making appearances at wedding dinners, this traditional Teochew dessert is typically found only in old-school restaurants and served in one huge pot for the whole table. Milk produced in Hokkaido is known for the smooth and rich taste, it is used in a wide range of products. 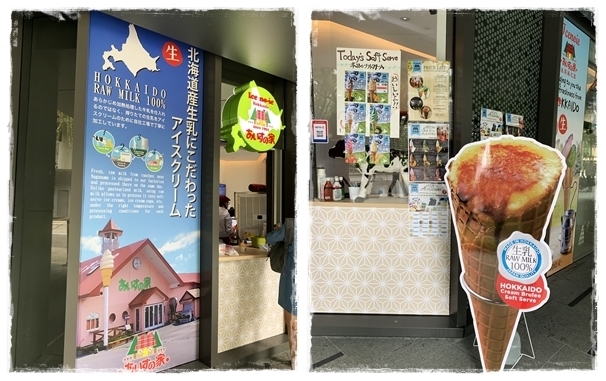 Naganuma Ice no ie from Japan uses 100% Hokkaido raw milk for their soft serves, which makes it more costly than other soft serves starting from S$6.50 per cone. There was 6 soft serve flavours available on the day of my visit. Other than the usual flavours there were a few unique ones such as Yubari Melon, Corn and Red Wine. However the one that caught my eye was the Creme Brulee Soft Serve at S$8. 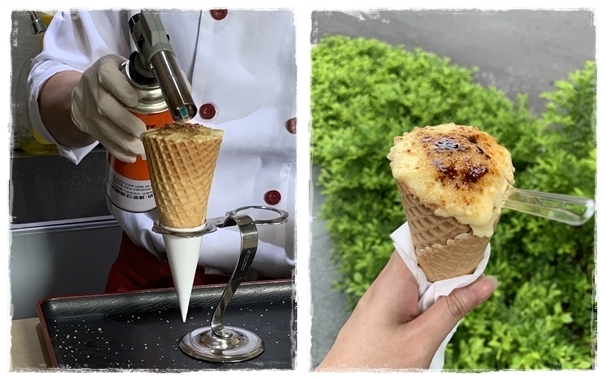 The cone is first filled with soft serve before being topped with a layer of custard and flamed to achieve the caramelized sugar surface. I really enjoyed the rich milky taste of the soft serve but this fancy treat is probably not something I could afford regularly. 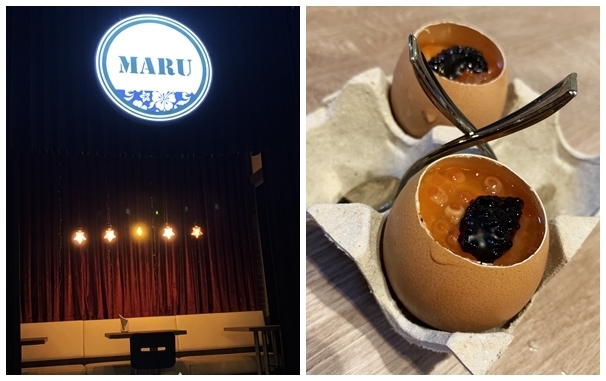 It has been quite a while since Maru Japanese Restaurant took over the space formerly occupied by Sakae Sushi in Icon Village. The eatery must be doing something right to survive in this area filled with many other Japanese eating options. We dropped in for a mid-week dinner starting with Truffle Ikura Chawanmushi steamed egg with salmon roe, truffle oil. Guess this should be freshly made cos it arrived last, after we finished the other dishes. The dish that I had expectations of didn’t disappoint – Uni Ikura Angel Hair Caviar, seaweed salt, shio kosho, truffle oil served chilled The portion and flavours ticked the right boxes for me. Maru Signature Roll Soft shell crab, crab roe and avocado Japanese cucumber was good but I prefer the hot dishes here. 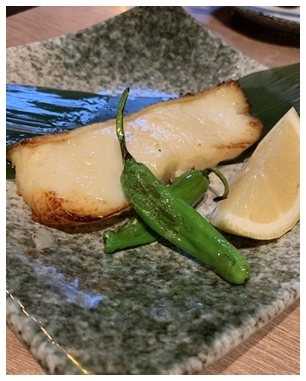 The Gindara Yuzu Saikyo Yaki Grilled black cod seasoned with yuzu miso was nicely cooked and fresh. While I was happy with the quality of the meal, it wouldn’t be a regular affair to dine here. The pricing is a factor in addition to a fair number of Japanese dining options in the area. 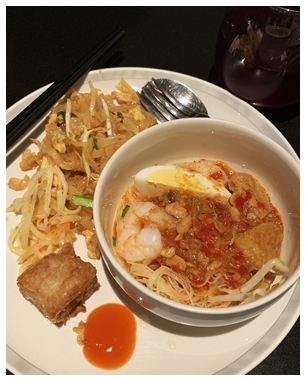 A 3 course set lunch at $18 sounds like too good a deal to pass off, especially when it is located in the city area. This value for money deal was spotted at Wine & Chef. The starter included 3 options: Soup of the Day, Bruschetta, Smoked Duck Salad. 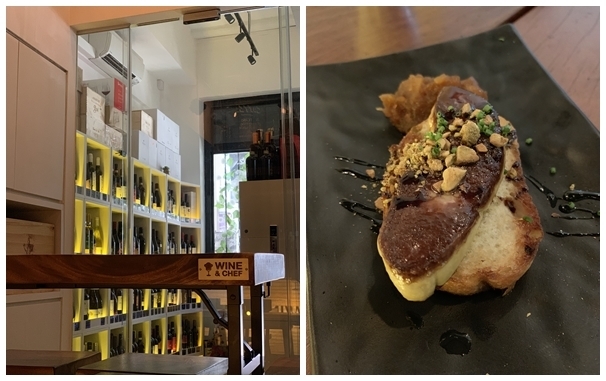 But for $8 top-up I had the Seared Foie Gras Pan roasted foie gras with apply & thyme brandy compote on toasted baguette. For the main course, there are also 3 options: Salmon, Pasta con Pollo and Roasted Baby Chicken. If you would like to have a more indulgent meal you can have it upgraded to Steak & Fries or Iberico Pork at $10 top-up. 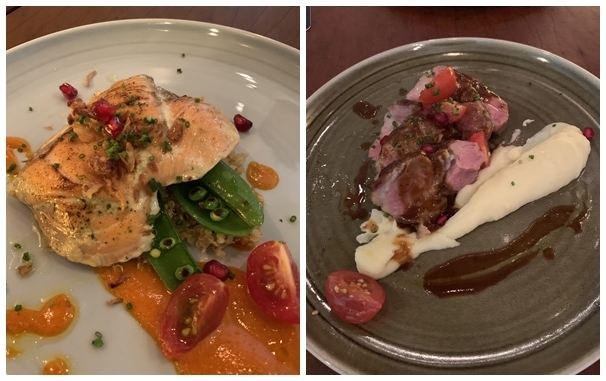 We had the Salmon Pan roasted salmon fillet with kombu butter sauce, quinoa & burnt orange and the Iberico Pork Pan roasted Iberico pork shoulder with apple & thyme brandy compote pomme puree. 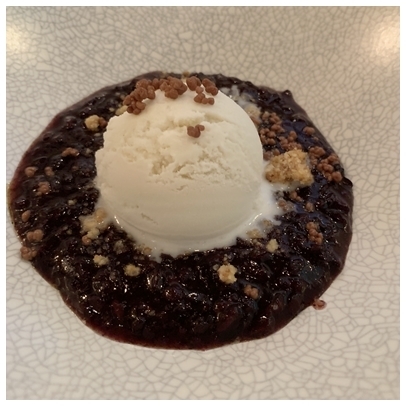 For me the dish that left an impression in me was their Venere Rice Pudding Black rice, pistachio paste, caramel crumble bits & vanilla ice cream At first glance, it looked like a simple bubur pulut hitam but there was a hidden surprise. Pop rocks were added inside to create a sparkling feel when eaten. 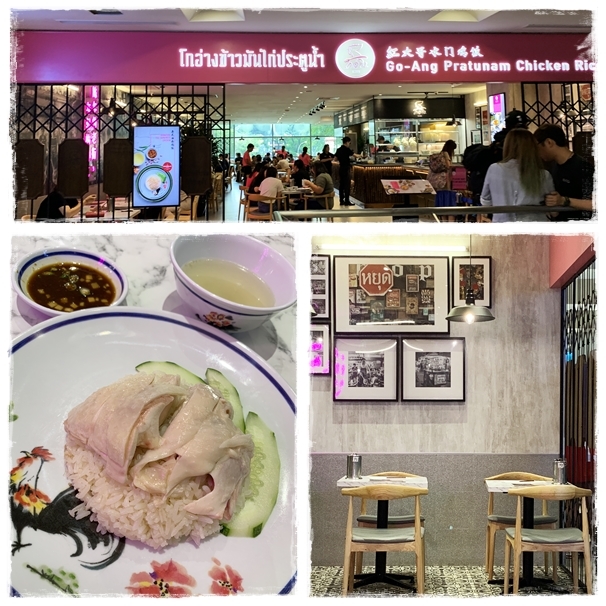 While I missed eating my favourite chicken rice in Bangkok recently, I was able to curb the craving by visiting their newest outpost after returning back to Singapore. Go-Ang Pratunam Chicken Rice which was awarded Bib Gourmand by Michelin Guide in Bangkok has brought their delicious street food to our shores. A plate of normal chicken rice cost S$4.50 and a chicken thigh rice cost S$5.50 What’s important is that they supply the same dark coloured savoury dip. That is the special ingredient that no other chicken rice stall in Singapore have. 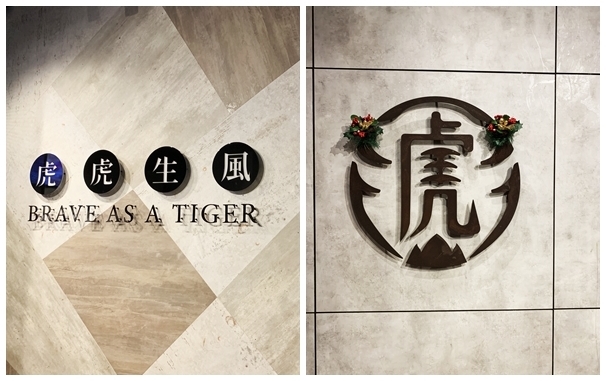 Other than chicken rice, this outpost also serves Tze Char dishes and soups. You can choose to order other mains such as Thai style whole fish, stir fried vegetables, tofu & omelette if you wish to have a more sumptuous meal. Time to update the food haul from this trip, not as many new snacks to introduce. 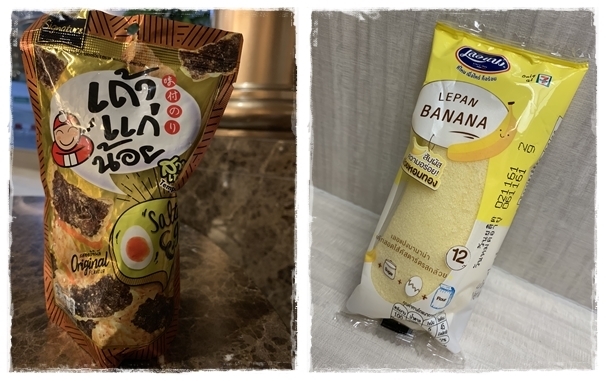 Check out my previous installation of Thai Snacks & Food posts (links at end of post) for more items. After trying Play Watermelon Mint, we now found Ume Candy from the same brand. 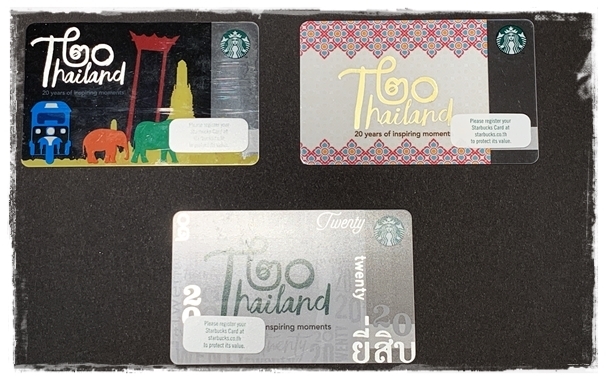 This one is not minty at all, the taste reminds me of the old school Ling Mong (Lemon) tablet wrapped in gold foil. Salted Egg Tempura Seaweed This is my greatest find for this trip. 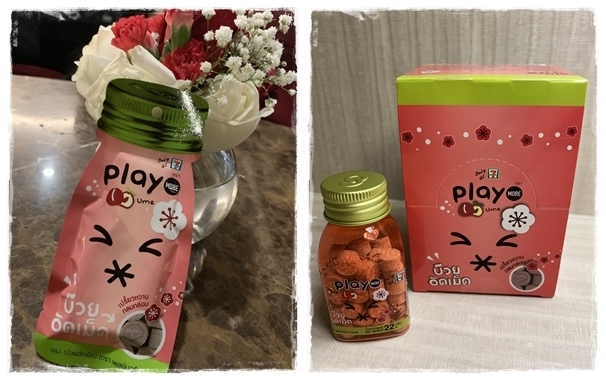 The crispy seaweed coated with salted egg powder was so addictive that it had us going back to 7-11 to grab more packets. 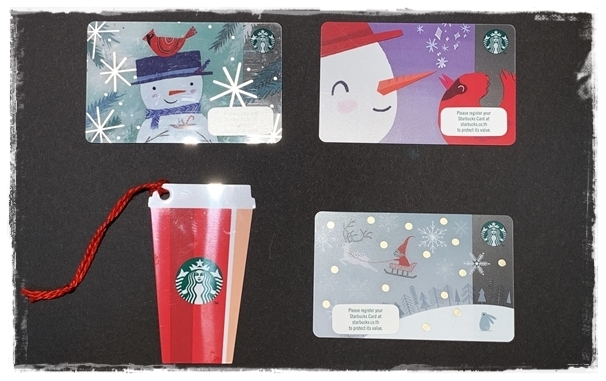 However we later discover that it is actually cheaper to buy it in Singapore (at least for the large size packet). Lepan Banana After a disappointing taste of another brand’s version of Thai “Tokyo Banana“, we were more conservative this time and only bought a few of this version that is sold in 7-11. Nonetheless my verdict is this Lepan brand taste much better than the other brand that has a variety of flavours but the sponge cake was not as moist (see post). Blue Elephant Tom Yam Soup Bought this from my last trip in April and tried it after I was back in Singapore. I was really impressed with the taste of the Tom Yam Soup. It’s easy to cook, just add lemongrass, galangal, kaffir lime leaves, straw muchrooms and prawns and it taste just like what we could get from eateries outside. The Phad Thai was not as impressive though. Although its not my first time visiting Platinum Mall, this was the first time I ate at the foodcourt at the uppermost level. Tried the claypot beef noodles and the oyster omelette. While the oyster omelette didnt wow me, the claypot beef noodles was something I wouldn’t mind eating again if I need to take a short break and a light meal to replenish energy inside the mall. Typically I would walk a short distance to have Go-Ang Pratunam Chicken Rice or the Braised pork leg rice nearby. Hadn’t got the chance to try the famous wanton noodles right opposite Platinum Mall though. 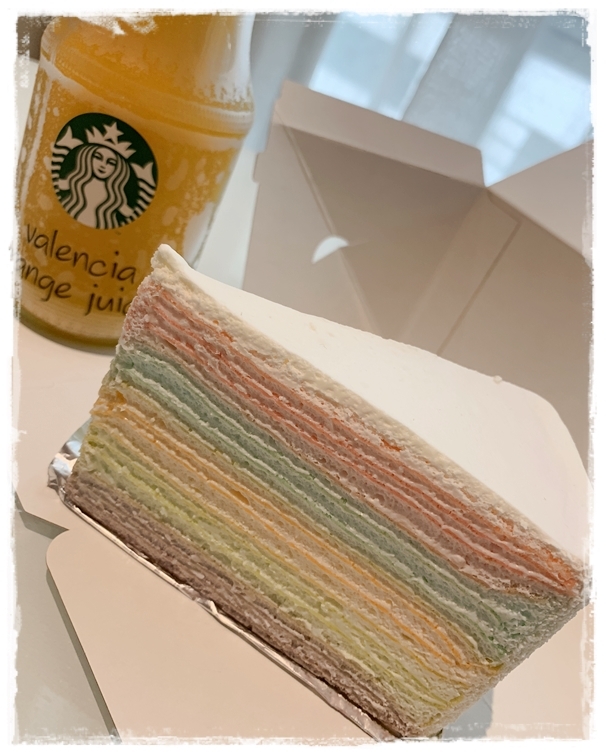 I didn’t have a good impression on the confectionery offered in their Singapore outlets but I was drawn to this pretty pastel coloured rainbow cake in Bangkok. Honestly, it tasted quite nice too. 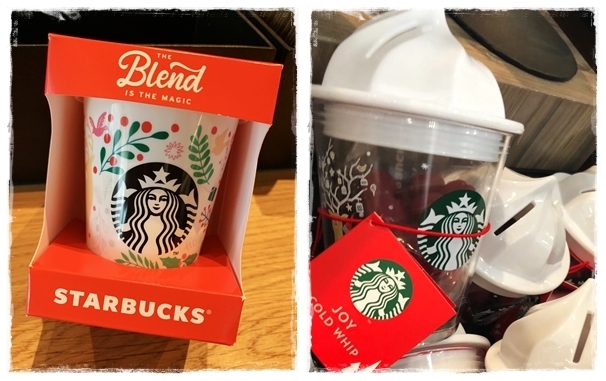 The Xmas gift products also hit the shelves while we were there…so we grabbed these cute coinbanks (that comes with a small packet of popcorn or chocolates respectively). 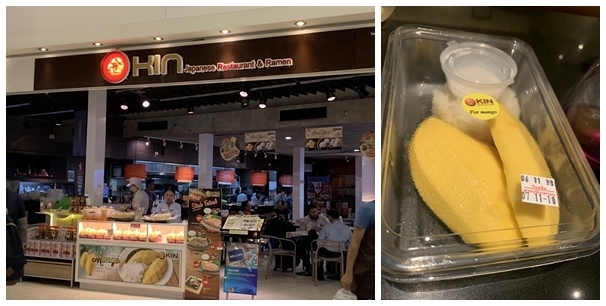 One of my must visit shop at the Suvarnabhumi Airport is Kin Japanese Restaurant & Ramen. I’ve tried Mango Sticky Rice from other places in the airport but this shop has consistently delivered sweet ripe mangoes. 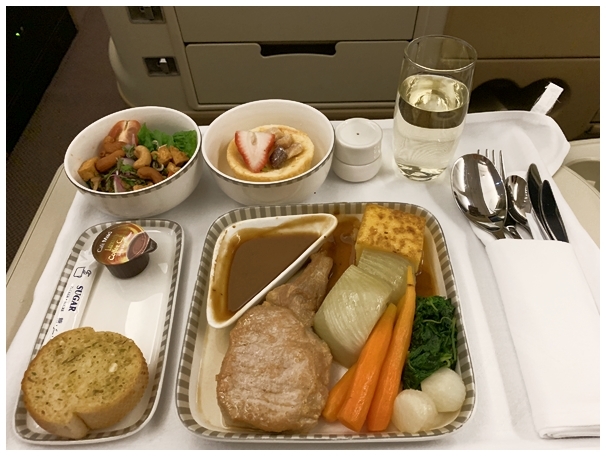 I didn’t have high expectations on the in-flight meal as the regional menu had proven to be not as tasty as long-haul flights from my past experiences. 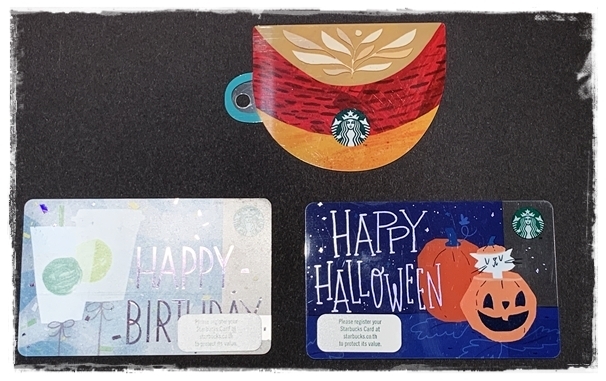 However I was pleasantly surprised this time round. 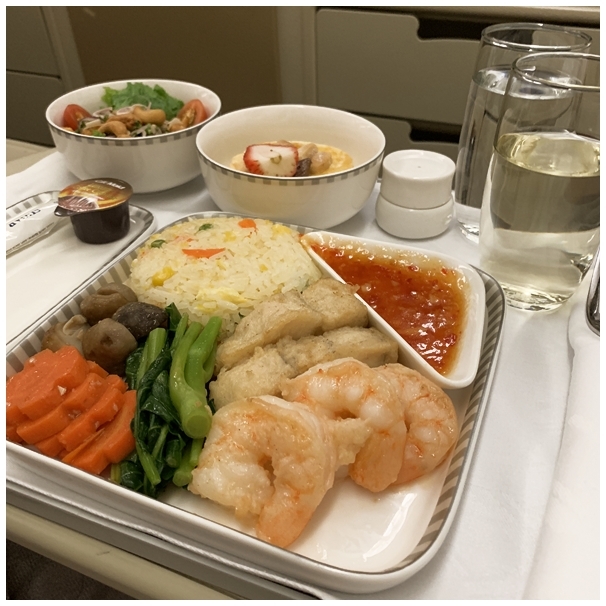 Had appetiser of Marinated Fried Tofu and Cashew Nut Salad with Thai Chili Sauce with Main of Fried Snapper & Prawns with Sam Ros Sauce Stir-fried kailan, carrot, straw mushroom and vegetable fried rice. Although we ate something at the lounge, I was still able to finish the main! The fried rice had the right texture (rice not too hard nor soggy), the prawns were crunchy and fish was firm. The another main of Seared Kurobuta Pork Loin with Bourbon Sauce Braised fennel, spinach, daikon and cheddar cheese polenta cake was nice but I still preferred the fried rice. 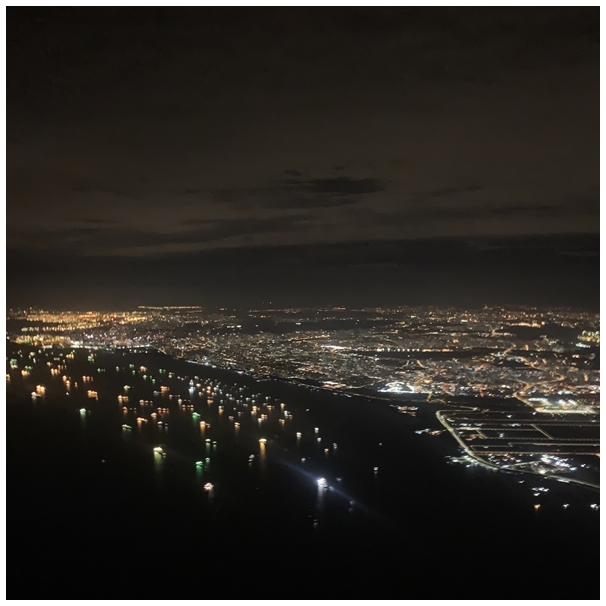 Home is near when we see the sea dotted with parked vessels.